HLN interviewed many folks for this show, including me for the cipher-related material. Apparently the episode is split between two episodes, so it looks like there will be a lot of detail. 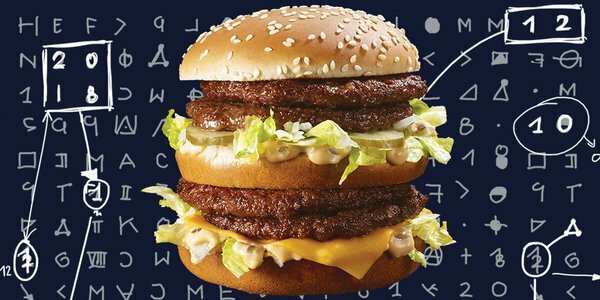 I’m getting a real Zodiac vibe from these French ads for the “Megamac” burger from McDonalds. It gets rather technical at times but that’s because the audience is full of fellow codebreaking enthusiasts. 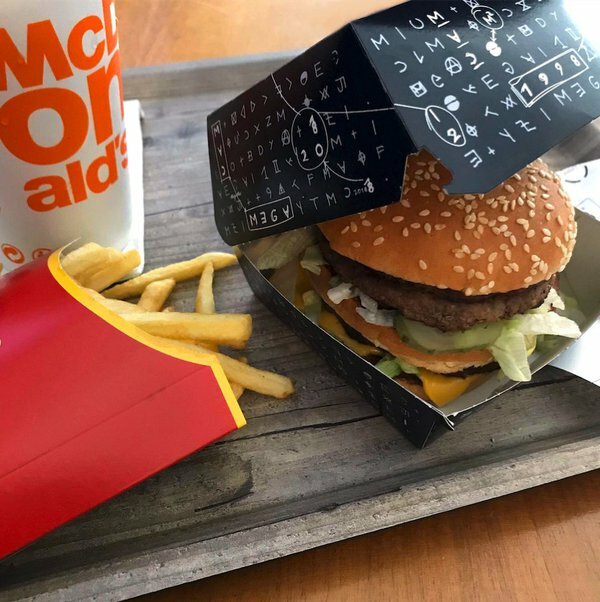 The other talks at the convention were fascinating and covered a wide variety of topics, such as ancient Latin manuscripts, playing card ciphers, competitive codebreaking for kids, an NSA case study involving dictionary codes, cryptocurrencies, a code on William Friedman’s tombstone, puzzles as on-stage entertainment, and interrupted key ciphers. To top it off, the keynote talk was by Will Shortz, the famous New York Times crossword editor, in which he gave many interesting examples of devious crossword puzzles that contained hidden messages beyond the normal solutions. 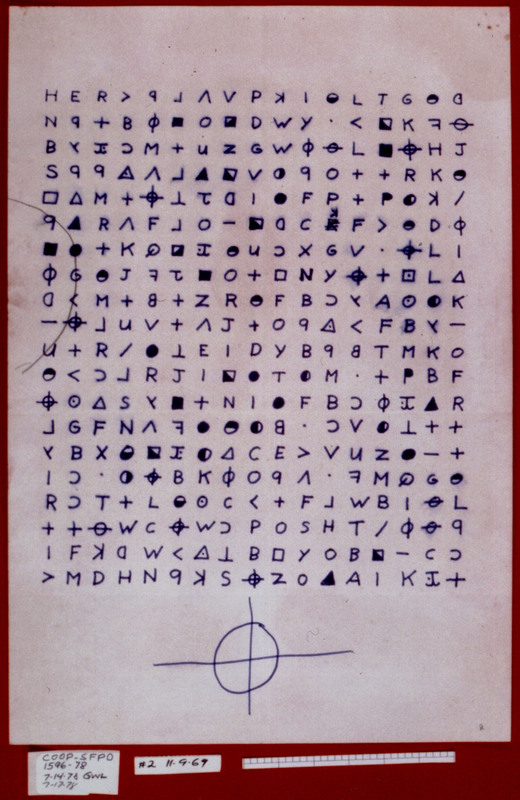 There were so many intelligent and friendly codebreaking enthusiasts at the convention, and I hope some of them will turn their efforts to working towards a solution to Zodiac’s 340 cipher! There are four total ciphers: Z408, Z340, Z13 and Z32. Of the four, only Z408 has been solved. Z13 and Z32 are too short, so verifying solutions would rely on extraordinary evidence such as discovering the keys from Zodiac himself, or by finally catching and questioning him if he’s still alive. A non-gibberish cipher would probably have been solved by now. 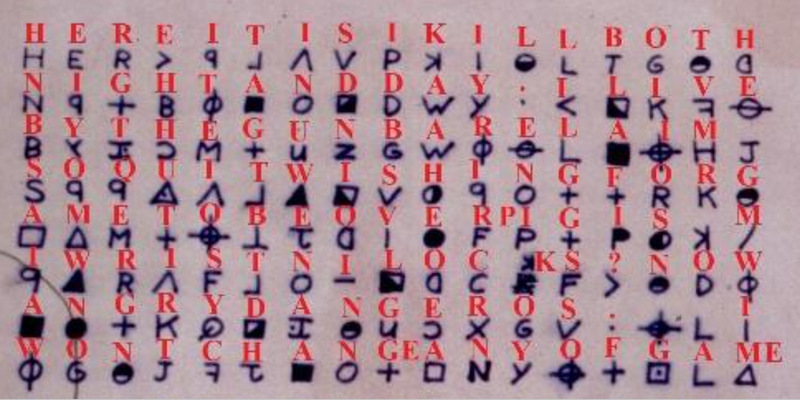 Zodiac liked to mess with people (especially to make law enforcement look bad), so making gibberish ciphers is right up his alley. But there’s really no good test to conclude once and for all that the ciphers are gibberish, apart from an admission from Zodiac himself. You could easily create a gibberish plaintext yourself and make a cipher from it, and it could be the next famous unsolved cipher. But apparently they are not enough of a “smoking gun” to fully convince everyone of the hoax hypothesis for the Beale ciphers. It is possible that there is some characteristic of Z340 that could be discovered, and would only be present if the message was gibberish. I’m really curious to know if such characteristics could be discovered from homemade gibberish ciphers made to resemble Z340. There are clues in Z340 that have significance to cryptanalysts. Many of them are detailed here: Encyclopedia of observations For example, would a gibberish cipher really have the periodic ngram bias described there? If the message is gibberish, why did he bother to correct the mistake? 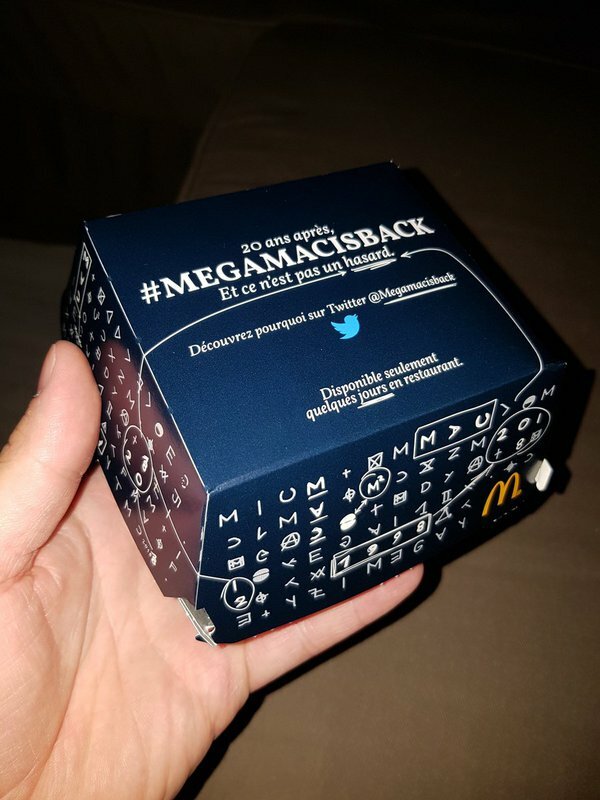 Was it just to give the false appearance of a real message? Or was he truly concerned about the integrity of the cipher text? So, I think gibberish is a real possibility, but I still believe there might be a real message in there, especially since we still haven’t exhausted all the codebreaking possibilities. 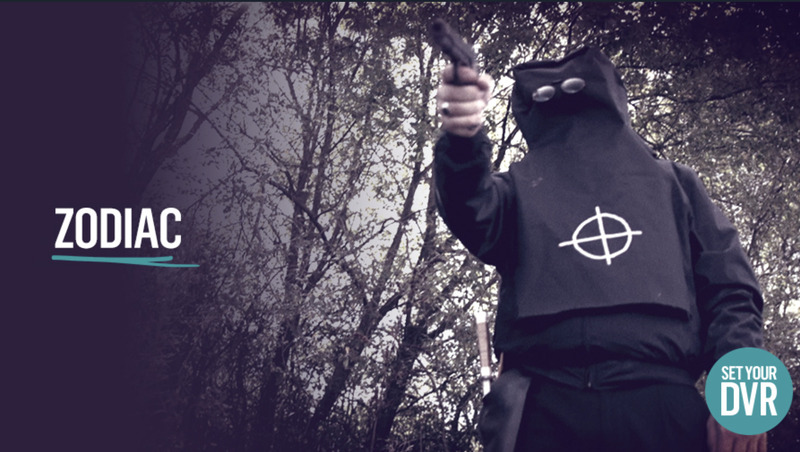 The finale of “The Hunt for the Zodiac Killer” features code team member Craig Bauer’s solution to Z340 which made quite a splash in Zodiac and crypto communities. I believe the solution presented here is fundamentally correct. By this, I mean that in correcting errors made by Zodiac, I may have ended up with a couple of incorrect words, but I don’t believe I am off by more than that. So, what do you think? Is Craig on the right track?